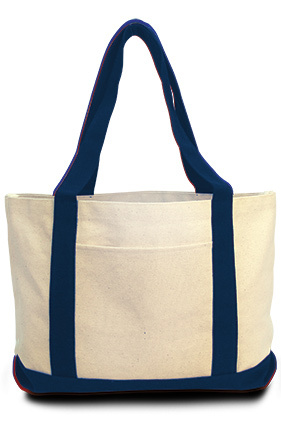 100% cotton 11 ounce heavyweight canvas tote with contrasting self-fabric handles and gusset bottom. Outside pocket. Classic "boat tote" styling. Natural bag color for an eco-friendly look.